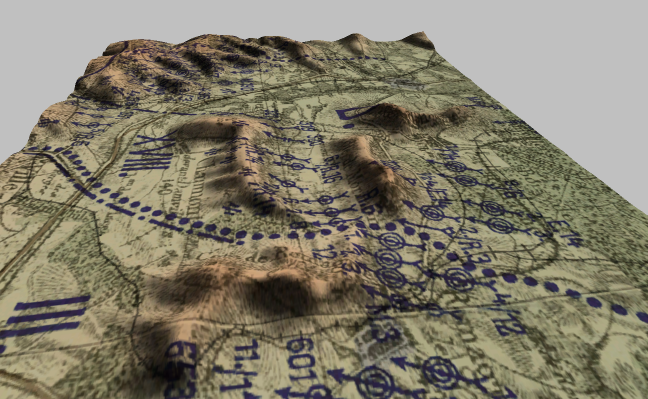 for error correction when extracting the 1916 data from the trenchmap. The software used is Global Mapper, and an older version of Paint Shop Pro. 2. Work in progress. 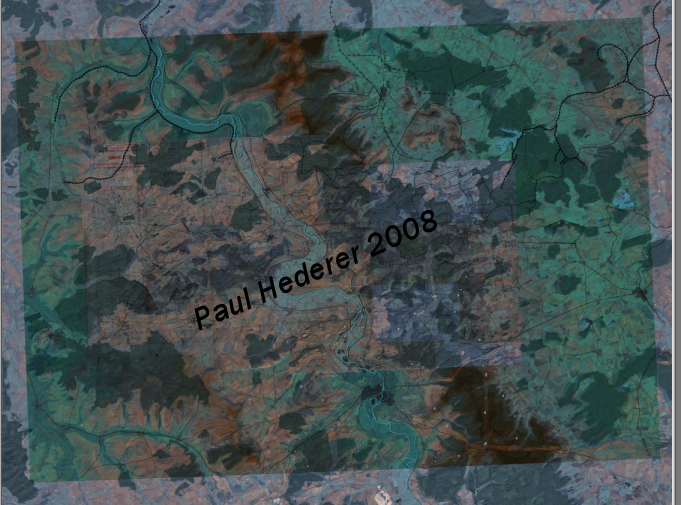 Forest, rail, and trench railway information from 1916 overlayed on modern elevation data. The French forts and ouvrages are also in place. This is shown at about 15% zoom. The map is about 24 inches by 20 inches and can be zoomed for much more detail. 3. 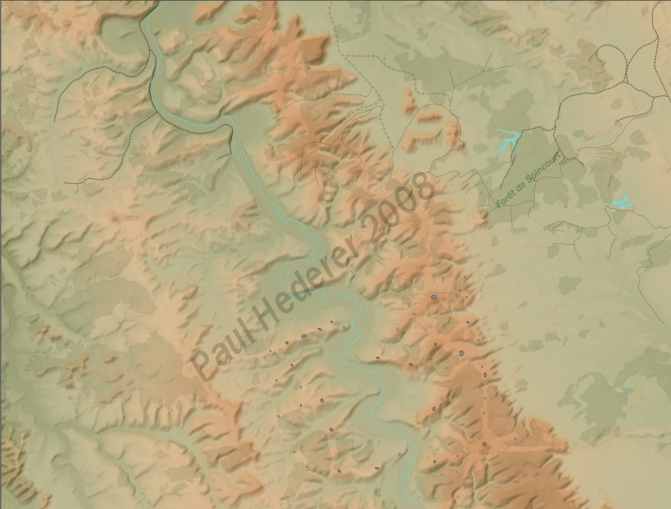 Older map overlayed on elevation data. German artilery deployment North of Verdun, February 1916.